PORTLAND, Ore. (AP) Shabazz Napier is clearly comfortable in his role this season. 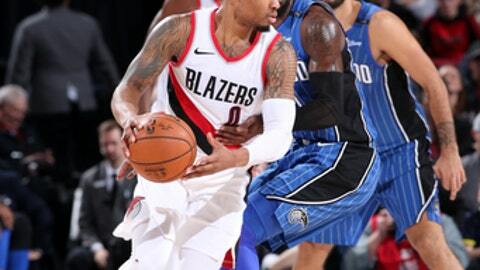 ”I think you just go out there and play with a free mind, and just enjoy it,” said Portland’s reserve guard, who had a season-high 19 points in the Trail Blazers’ 99-94 victory over the Orlando Magic on Wednesday night. The Blazers were coming off a confidence-boosting 99-82 victory over the Denver Nuggets on Monday that snapped a two-game skid. Portland’s offense had been stagnant, especially in close games.